Stoic's John Watson says that Stoic Games is interested in porting The Banner Saga to consoles but might be limited by the team's small size. 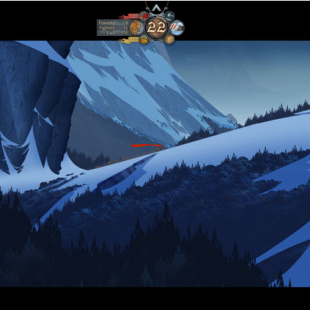 Stoic's The Banner Saga was easily one of the more notable role-playing games to release earlier this year. Just recently, its developers at Stoic Games have recently revealed that the game will be receiving new iPad and Android releases sometime this summer. It now seems, however, that the tablet versions won't be the only new editions of the game Stoic has in the works. Speaking in a recent interview, Stoic programmer John Watson has claimed that the company's future plans could include news versions of the game for consoles and portables. "The ideal would be to get some console ports out before the end of the year," said Watson. He would go on to say that "the game would be great on Vita" but affirmed that a version for Sony's handheld would likely come after the game had been ported to "other" consoles. "I'd much rather see it on PlayStation 4 first, then work on the Vita," said Watson. "The Vita might need some changes to take advantage of the fact that it's both control and touch at the same time." Even with that desire firmly in place however, Watson admitted that the small size of Stoic's team could be limit its ability to make such ports a reality. "It's a path of least resistance thing," he said. "There's three of us." Whether the team winds up actually following through on its console ambitions, you'd probably be hard pressed to find many RPG fans who'd be upset over the prospect of the game spreading to wider audiences and, presumably, greater success. Just personally, while I loved the PC game, I will admit that the very idea of being able to play the game on my Vita has me very much excited. What do you think? Would console and portable ports be a good move for Stoic, or should the developer perhaps focus its efforts on other endeavors, such as making its second episode?